Open Sound Group | Netlabel and collaborative sound workshops. Run by artist Graham Dunning. Looking back over all the great sound and music we’ve made has made me really proud. Please have a browse through the back catalogue and listen to some of the magical sounds, here. Many thanks of course to Archive.org for the hosting. I might put out the occasional thing in future, if it fits, but for now, Open Sound Group is CLOSED. 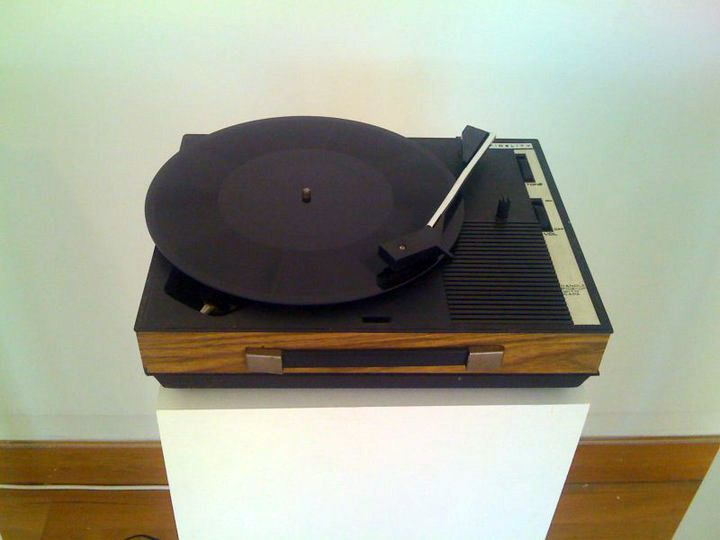 Compositions from artists using turntables or records in their sound making processes. With exclusive tracks from: Strotter Inst., Vinyl Terror & Horror, Henry Holmes, Graham Dunning, JD Zazie, Janek Schaefer, Cullllt, Romvelope, Matthew Lee Knowles, Chris Mann, Sarah Farmer, Marius and Tom White. four beautiful tracks of downbeat tape loops, dreamstates, hypnagogic soundfields, paranoid moonlit scenes with werewolves and ghostly children, snythesizer and tape hiss from Bristol based musician Stuart Chalmers. A one-day open workshop and networking event for artists and musicians working with records, turntables or gramophones. Open Sound Group events give participants the opportunity to share ideas; talk about and demonstrate their practices and methods; form potential collaborative connections; and create sounds and record together. While the format of the day is open and flexible, one expected outcome is a series of recordings which will be released through the Open Sound Group netlabel. The event will take place at UNIT3 in Dalston, East London. The event is open to artists, musicians, composers and performers from any background. The one restriction specific to this event is that the focus is on using records, turntables or gramophones somewhere in the creative process. There will be some turntables available on the day but it would be useful for participants to bring their own equipment also. The workshop is free to attend but places are limited. – One link to some online sound (soundcloud/youtube etc). Please note: for successful applicants, these will be shared on the OSG blog. Deadline: Monday 18th November 2013.